Sunshine Place: 1 bed / 1 bath. Sleeps 4. Sunshine Place sits nestled into the trees alongside a small mossy creek bank. The covered front porch is a great spot to catch the early morning sun with a steaming cup of coffee in hand. But after that, Sunshine Place spends the rest of the day covered in dappled sunlight and shadows. 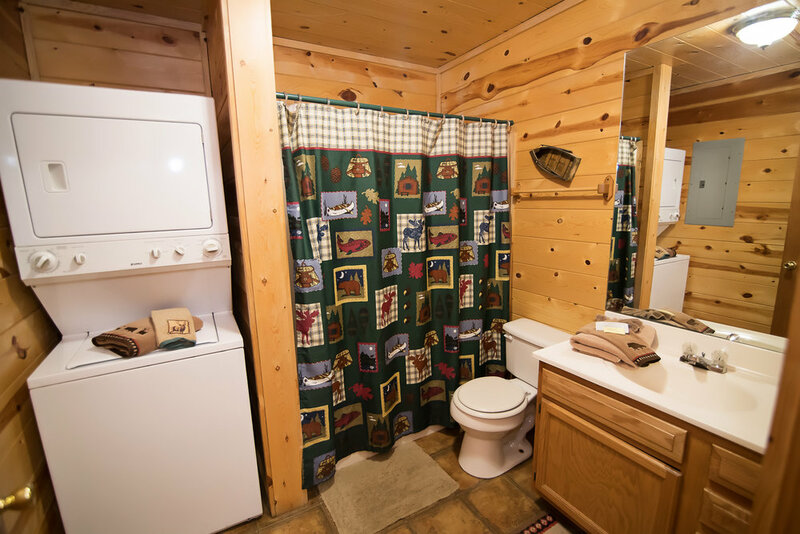 This little 1 bedroom cabin is an ideal getaway for families with kids – the level grassy lot makes it easy for the kids to run around with parents able to keep an eye on them. Many evenings, the fireflies shine around the cabin, inviting you to a game of catch me if you can. 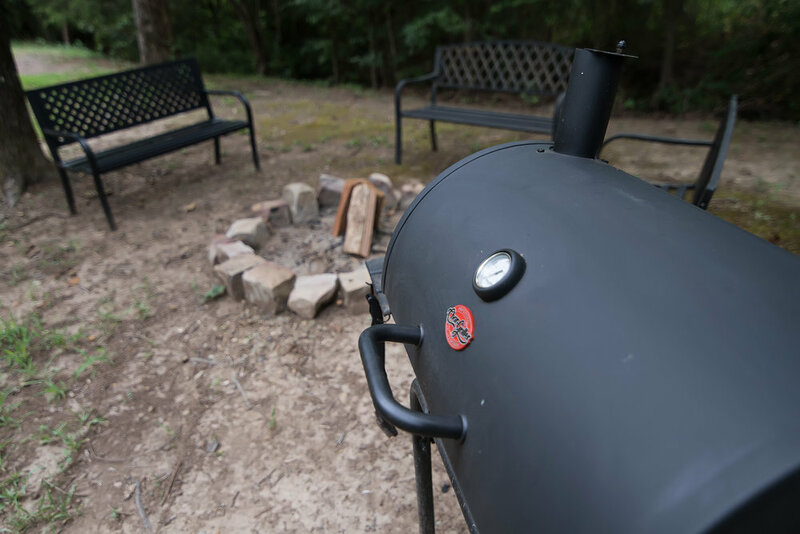 A charcoal grill, picnic table, and fire pit mean evenings spent together sharing stories and laughter. 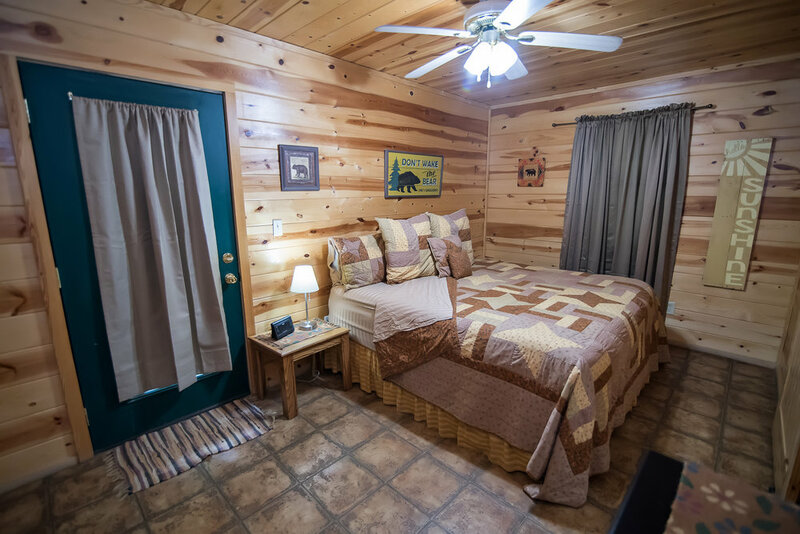 After the embers die, find your way inside to the comfortable king bed, and for the kids there is a full size pullout. 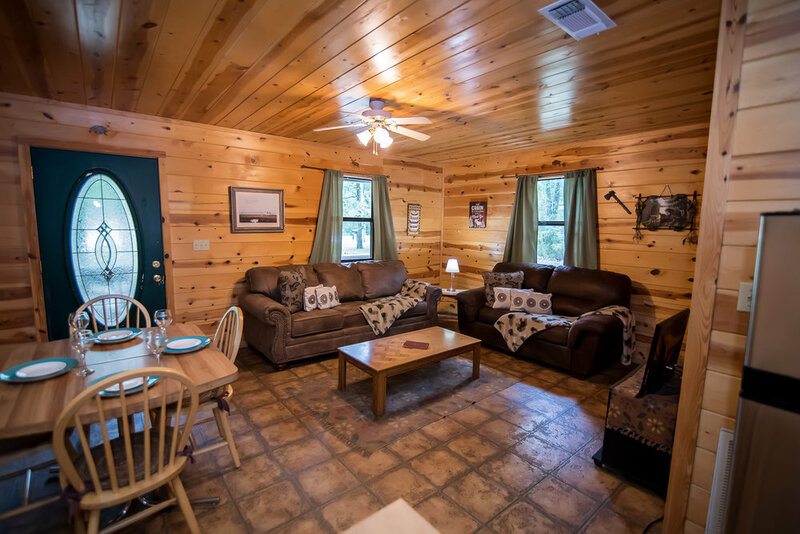 Wake up in the morning to the smell of breakfast being prepared in the ready to cook kitchen – then head out to the lake, or trout streams, or kayaking, or horseback rides – all within a few miles of your cozy Sunshine Place getaway. 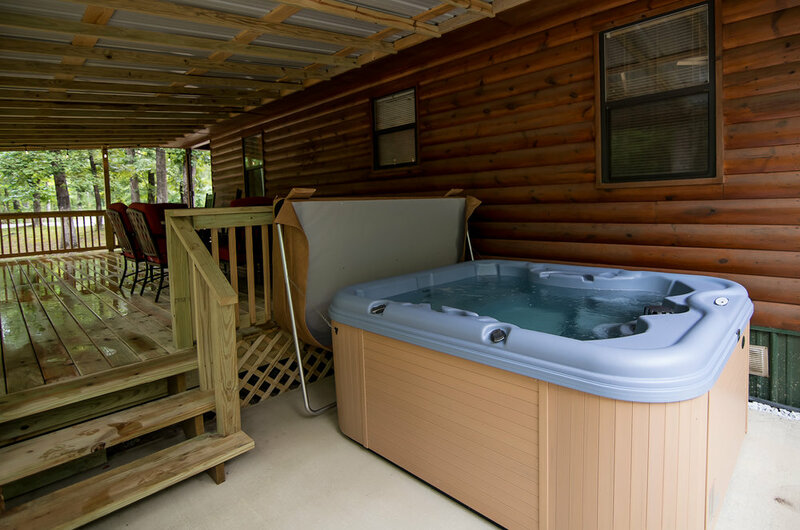 The cabin is off a paved side road and has a large parking area that is suitable for boat or ATV trailers. 1 King Bed / 1 pullout sleeper.